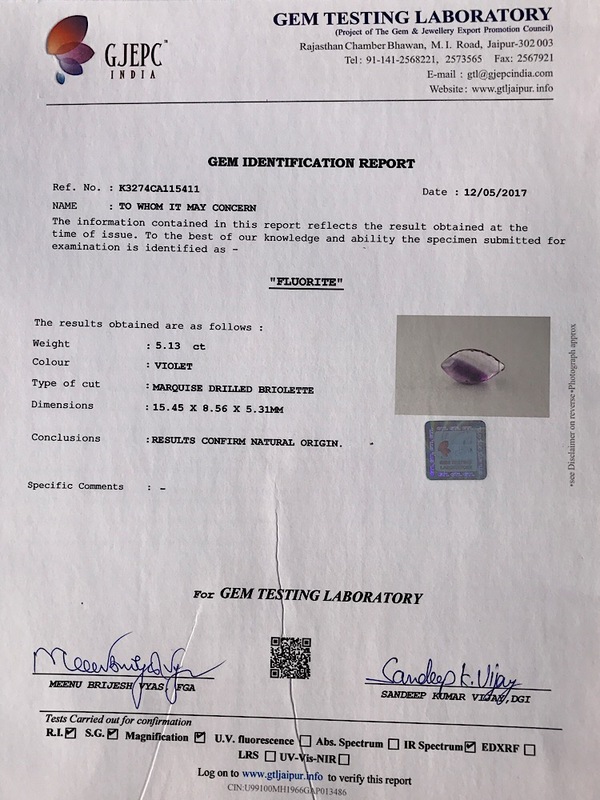 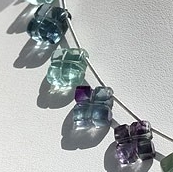 Fluorite is a relatively soft stone that comes in a beautiful variety of colors including clear, purple, blue and green, sometimes swirling together in lovely patterns. 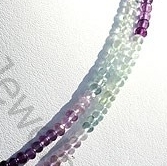 All colors of fluorite tend to foster truth and protection in the areas that they enhance. 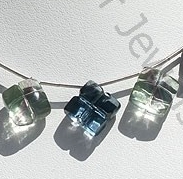 Clear fluorite enhances serenity and strengthens consciousness. 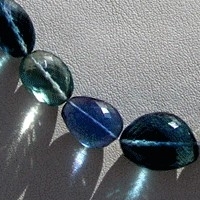 It helps one to live in the moment without a sense of spiritual emptiness. 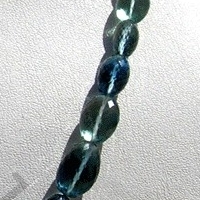 It also guards against psychic attack. 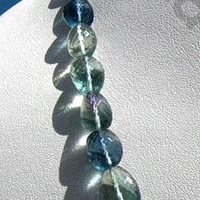 Blue fluorite is a protector of the emotions. 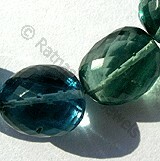 Green fluorite promotes healing on all levels of a being and shrinks problems with self-love. 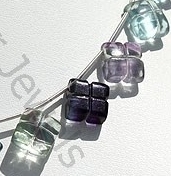 Most Fluorite gemstones are from deeply colored stone and they can also be cut from the less intense color forms. 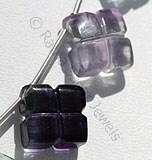 The most popular color for Fluorite is purple, and deep purple Fluorite can closely resemble Amethyst. 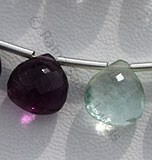 Ratna Sagar Jewels is the best place for you to buy the best Fluorite gemstone beads at exclusive prices and in several beautiful shapes. 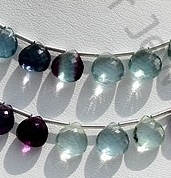 The skilled artisans of Ratna Sagar Jewels make sure that you never have to settle for something that is less than the best. 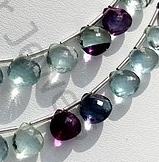 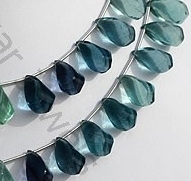 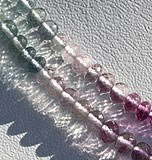 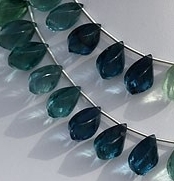 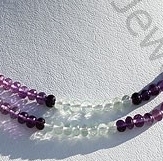 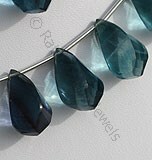 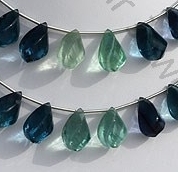 If you have a love for gemstones you would probably want the fluorite gemstone beads in shapes like: Twisted Tear Drop, Faceted Nugget, Clove Cut, Heart Briolette and Faceted Rondelle.